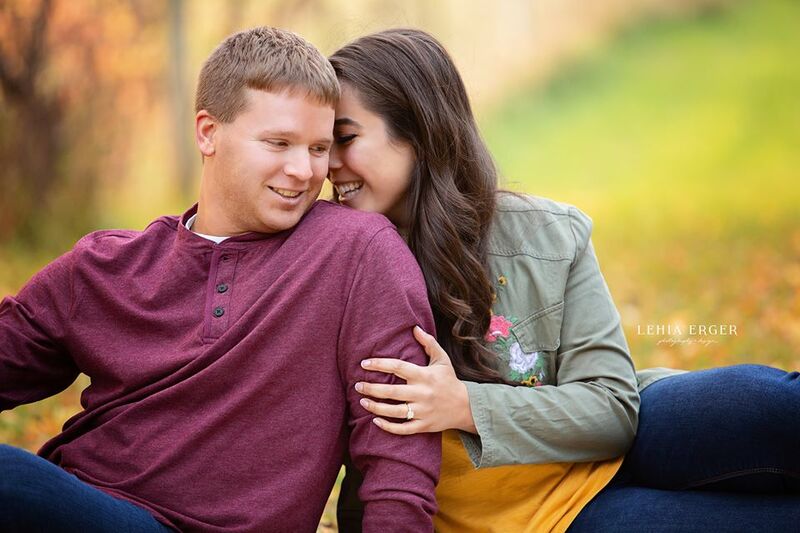 After photographing Zach and Ana’s engagement photos this fall, I seriously cannot wait for their Friday wedding in May! 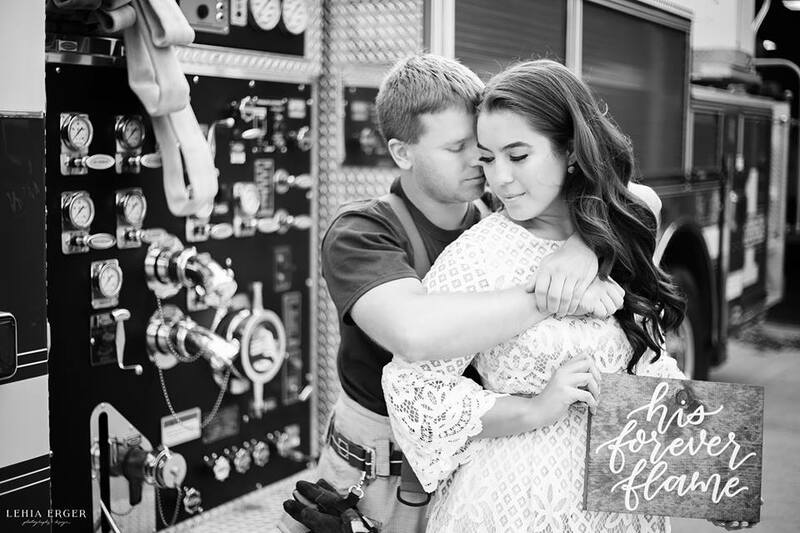 Zach and Ana’s story is so cute, and I loved that they wanted to incorporate it into their engagement photos. We started in at one of Zach’s fire stations and pulled out the truck where they first met. Ana was doing a ride-along with Zach for her job, and the rest is history! They wanted more of a rustic, country vibe for their photos so I took them to my hometown of Brandon, Iowa. You know, the largest frying pan?! We had a vision and I knew we would have lots of options there. It was a trek, and it was surprisingly cold, but it was sooo worth it. We found some fall color and walked around until the sun was juuuuust right. Ana changed into a flowy skirt, lace top and flower crown and all my dreams came to life. Our first stop was the little white church before we made our last stop of the night. You know that short period of time right before the sun sets when the sun turns everything golden. Yeah, that’s the golden hour. And it was epic for Zach and Ana’s session. So on top a hill in a bean field in Brandon, Iowa, they danced, twirled, dipped and laughed. And my vision for their photos came to life.